Bharathi was found hanging in her house by her neighbours who alerted the police. She was from Warangal but had come to Bangalore in search of a job. She lived alone in a house in Nagashettyhalli in north Bangalore. The reasons for her alleged suicide are unknown. Bharati had an interesting and inspirational journey ever since since arrived in Bangalore in search of a job in 2005. She had initially worked at a tailoring job and then had a job at a travel agency. In 2007, with the help of an NGO, she had learnt how to drive and had eventually bought a Ford Fiesta. 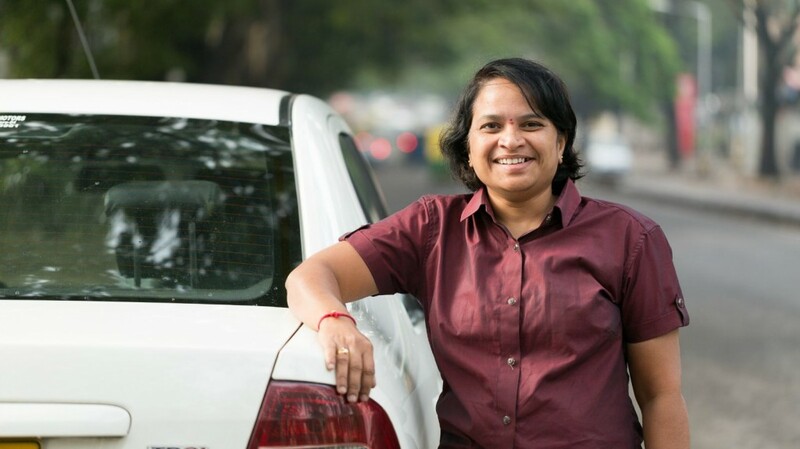 She had started working with Uber when it arrived in Bangalore in 2013. She had quickly found her feet in the male-dominated industry. “I’ve never had any bad experience with any customer. I’ve had a comfortable driving experience with passengers and they too have been appreciative.”, she told the News Minute. She added that women and senior citizens felt more comfortable when they saw that a woman was driving their cab. She drove from 12pm to around 1am and took some basic precautions like not waiting in areas she didn’t feel comfortable in. She had no plans of quitting her job. “I’ll do this job as long as I can. Jitne din taakat rahta hai. (Till I have the energy to do so).